Katie is broadly interested in vector ecology and evolution, though she is very partial to studying container-breeding mosquitoes in the genera Aedes and Culex. In the Midwestern US, where Katie has conducted most of her research, species in these two genera are vectors of important human pathogens such as West Nile and La Crosse viruses. She asks questions about how both biotic and abiotic factors can influence a mosquito’s ability to successfully transmit pathogens. 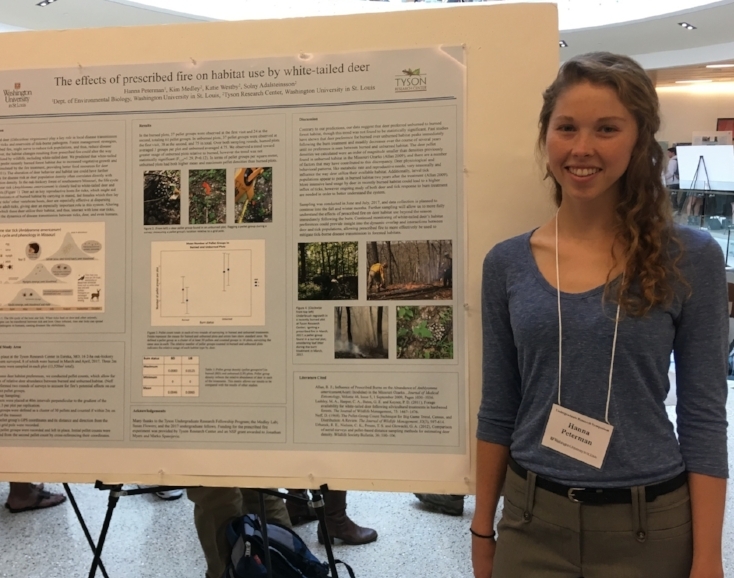 Katie has also begun to use mosquitoes as a model system to address basic questions in disease ecology, specifically the role of invasive mosquitoes in transmission of the obligate parasite Ascogregarina barretti in a native mosquito. Solny's lab works closely with us, and studies how human changes to the environment affect the ecology of vector-borne diseases, and ultimately impact disease risk for humans and wildlife. Solny's research has focused mainly on tick-borne disease ecology, including how urbanization and invasion by nonnative plants affect Lyme disease risk by influencing interactions between blacklegged ticks (Ixodes scapularis) and their vertebrate hosts in the mid-Atlantic US. 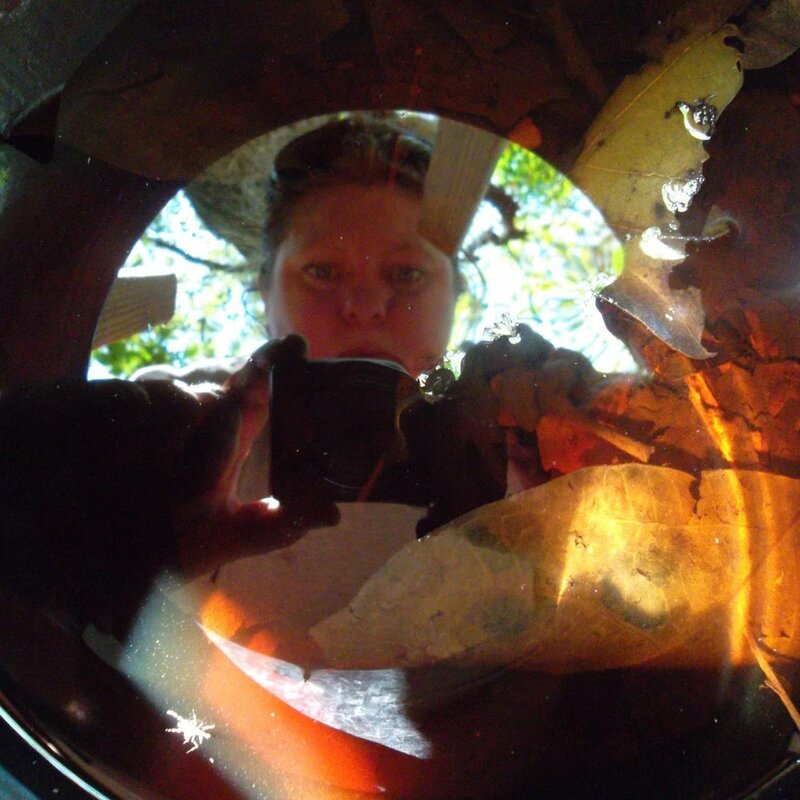 At Tyson, Solny's lab is investigating the long-term effects of prescribed fire on lone star tick (Amblyomma americanum)-associated disease ecology in Ozark oak-hickory forests. 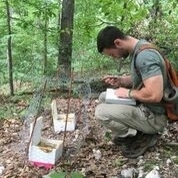 As Tyson staff scientist, Solny also develops and implements long-term research and monitoring programs for a variety of systems and taxa on site. Beth works as research support in the lab. She makes sure everyone has the necessary equipment, supplies and training needed for research to run smoothly and uses her expertise in aquatic ecology to help advise on projects and train students. She has worked on a variety of projects at Tyson asking questions about community assembly, extinction, predator-prey interactions to name a few. Her favorite focal species are Odonates and aquatic Coleoptera but she loves learning new species and working in different ecosystems. Lexie manages the day to day activity in the lab and field. She's also an active investigator interested in predacious mosquitoes, and is writing up her work this summer (2018).